"We’re focused on building the pipeline – getting young women exposed to asset management and getting them the skills and experience on the job, early in their college career, so they can be competitive as they enter the career track. We’re also helping them to navigate what is a pretty intensive recruitment process, coaching them and giving them a sense of what’s going to be coming at them." 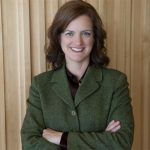 Although she’s spent a good portion of her career in the world of finance, Janet Cowell admits she had little idea of what the field had to offer when she was younger. Her goal now is to make sure other young women have a better sense of the opportunities than she might have had. In January, she became CEO of Girls Who Invest (GWI), a non-profit organization founded in 2015 dedicated to increasing the number of women in portfolio management and executive leadership in the asset management industry. Cowell only discovered the financial services industry as an undergraduate at the University of Pennsylvania. After graduating with a focus on Chinese language and history, she jumped into finance as a securities analyst with Lehman Brothers and HSBC in Hong Kong and Jakarta, Indonesia. She later embarked on a 15-year stint in public service in her adopted home of North Carolina, where she served as a Raleigh City Councilor and state senator before being elected to two terms as treasurer of North Carolina. In that post, she was sole fiduciary for a $90 billion pension fund. Cowell spoke to Project Invested about joining the GWI team, why it’s important to introduce career options in finance to women at an early age, and what’s planned for the future. The following interview has been edited for length and clarity. How did you get involved with Girls Who Invest? While serving as treasurer of North Carolina, I met [GWI founder] Seema Hingorani, who was running the New York City pension system, and we became friends. I followed her as she wrote her first Bloomberg op-ed about the need for an organization that encourages young women to go into asset management. I went to the kickoff for Girls Who Invest in 2015, and later joined the advisory board. I decided in January to join as CEO because it married my desire to be mission-driven (even though I’d left office I still have that public service gene) with my belief in the power of education. Had you worked on diversity issues prior to joining Girls Who Invest? Absolutely—I had been working on these issues when I was the North Carolina State Treasurer. As a shareholder, I worked with other pensions and investors around the issue of women’s representation on boards, and on diversification in its broadest definition. Trying to break down barriers for both women and minorities in the asset management industry was something I emphasized when I was in the treasurer’s office, and I’m happy to be able to continue doing that. What are the barriers or obstacles that may hold women back from financial industry careers? First, there’s the lack of exposure. Many people just never know this world exists. You have to view this almost like a “craft” trade, where you learn a certain skill set, and this all happens fairly early. You go to certain schools, and then you get the internship, and then you get an investment job – it’s almost like a pipeline. If you don’t get in that pipeline early in your career, you never learn the foundational basis, and you’re not going to get hired in your 30s and 40s. So it’s a big challenge to reach people at a young enough age that they can get the experience they need to get into the field and move up. Then there are other barriers, like some of the broad cultural obstacles. For example, it’s a very male-dominated industry. The culture varies a great deal, obviously, from firm to firm. But a lot of these firms are small and founder driven, and maybe not always as welcoming to people from varied backgrounds. What is GWI doing to help young women overcome these barriers and create more opportunities? We’re focused on building the pipeline – getting young women exposed to asset management and getting them the skills and experience on the job, early in their college career, so they can be competitive as they enter the career track. We’re also helping them to navigate what is a pretty intensive recruitment process, coaching them and giving them a sense of what’s going to be coming at them. For example, if you get one of these “exploding” offers that expires in two days, how do you make a decision? Can you slow that down and try to negotiate? How do you advocate for yourself within an intense process? We want to prepare them for those kinds of challenges. Describe how the program works. For rising female juniors at U.S. colleges and universities, we offer a four-week, on-campus Summer Intensive Program. This year, we had 600 applications for 100 slots. We started the program at the Wharton School at the University of Pennsylvania, because we have a strong alumni presence in the organization, and we put together a curriculum that brings together business modeling, stock valuation, exposure to private equity and real estate, case studies on securities and so forth. We also spend time on soft skills—like crafting a resumé, interviewing, presentation skills, what to expect in the workplace, all those kinds of things. Is there a typical academic profile of an enrollee? The most common major is economics, but we accept all majors—it could be English or psychology, for example. We get some math and computer science majors, but there does seem to be a gap in that a lot of students don’t understand the degree to which computer science and finance are merging. A lot of young women majoring in computer science might think of Google or Apple for a job, but they don’t think of, say, Bank of America or another financial institution. What about ongoing engagement and connection after completing the program, but before they enter the career track? Yes, that’s another unique aspect of this program. After they complete the program, they sign an agreement that they’re going to stay in touch with us for five years. We have a head of career development to work with them, and anyone who plans to stay in asset management can go to her for help with internships, negotiating offers and so forth. What are the key measures of success for this initiative? Our overriding goal is to have 30% of assets under management to be managed by women by 2030. A big part of reaching that goal is looking at the mix of pensions and sovereign wealth funds and make sure we’re getting that exposure, because that’s where a lot of the growth globally is, so we want that represented in our internship opportunities. We’re now three years into this. Eighty percent of our young women have stayed in the asset management or finance arena; some end up going to tech or a start-up, or something that’s different. Of our first graduating class, the majority stayed on the buy-side of asset management. But there’s also a certain portion that have gone to investment banking, as well. Getting feedback from partners and participants is important. And we’re focused on how we expand – by 2019 we’re hoping to add another academic partner. We also want to partner with the academy as we track this data to make sure that it’s meaningful and we’re doing it the right way, so that we can develop “lessons learned” and focus on improving for the future. How have you all worked to build support from the industry? So we’re in a good position having calls coming in, and we’re actually over-subscribed for internships. That’s where having another university partnership that could host a cohort of 50 young women on their campus next June is important. It would expand our capacity. What about plans for the future—how would you like to see the program evolve? There are a lot of great schools in America that are on a trimester schedule. Young women at those schools can’t participate right now, because their college year extends into June. One goal is to partner with an institution on the trimester calendar so we can open up this opportunity to those young women. We want to have a presence across the United States, so we’re not perceived as a northeastern or New York-centric organization. Expanding our four-week academic program to Notre Dame University this summer obviously helps with that goal. Ultimately, we’d like to go international. We have so many great applications from foreign students, and we’re not able to accommodate all of them, because it’s hard to place foreign students when the firms know they may not ultimately be able to hire them because they lack a visa to work in the United States. But we get a lot of great applications out of Asia, and making this into a truly global academic and internship program would make sense. I could see this program growing to 500 or 600 young women per year at multiple institutions around the globe, with a matching number of internships. That’s certainly achievable. What advice would you have for young women considering a career in finance? It’s kind of like learning the violin. You want to make sure that you start young, that your teachers are good and you learn the right technique. While not everyone has access to finance growing up – Girls Who Invest is trying to break down those barriers in college. Recognize that’s it’s a very competitive, rough and tumble industry, so it requires assertiveness and perseverance. The industry can be daunting but finance is an empowering tool that can affect change at every level so it is worth making the effort.